Posted on February 8, 2018 February 8, 2018 by Kerri Maniscalco	This entry was posted in Big News, Debut Novels, ESCAPING FROM HOUDINI, For Readers, Happy Things, Hunting Prince Dracula, Jimmy Patterson Books, Little Brown, Sparkly Books, STALKING JACK THE RIPPER, Ya, ya books, Young Adult Novels and tagged Audrey Rose Wadsworth, Forensics, Jack the Ripper, James Patterson, Jimmy Patterson Books, Kerri Maniscalco, Little Brown, meeting thomas cresswell, Mystery Novel, Psychological Thrillers, Thomas Cresswell, Victorian Covers, YA. Bookmark the permalink. ← ESCAPING FROM HOUDINI cover reveal up on Entertainment Weekly! I’m so happy about this!! 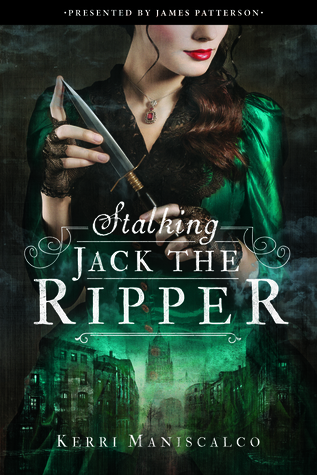 I read Stalking Jack the Ripper and Hunting Prince Dracula late this year ( Christmas Eve to be exact) and missed out on the Thomas cresswell novella, and I’m so happy I will be able to read it!!! I have the hard cover of HPD but read your first one online, so I’m super happy I waited to buy it! Do you know if you will be doing any book signings of your new one or letting us know if there is any place to buy signed books when the time comes? Is it possible to preorder the mass market with Bookdepository?